During the winter months, the weather in Wichita can be brutal, and it's very important to any homeowner in the area that they're able to keep their heating systems functioning well and efficiently. When the weather reaches its lowest temperatures, heating your home is about more than just keeping your home comfortable—often, any heating problems you encounter can be a matter of health and safety for you and your family. At Ball Heating & Air Conditioning, we know how important your heating system is, so when you have a problem with your heating, we'll always be ready and eager to solve the problem as quickly and accurately as possible. Our heating repair contractors are all extensively trained and experienced, so we will always be able to quickly identify any problems that you're having with the system and take care of the problems as quickly as possible. Any time that you need routine maintenance, in-depth repairs, or even full installations and replacements, our experts can do whatever it takes to ensure that your home's heating system is always in excellent condition. At every job that we perform, we guarantee that you'll be getting the highest quality workmanship possible. At Ball Heating & Air Conditioning, all of our heating repairs contractors are licensed and trained professionals. You can depend on them for repairs that are thorough and accurate, no matter what sort of problems you encounter with your heating system. We'll do anything it takes to ensure that your heating system is as efficient as possible so that you're always able to keep your Wichita home completely comfortable without ever having to overpay for your energy bills. Why Choose Us for Heating Repair Needs? Lack of heat in one or more parts of your Wichita home. Strange smells or gas odors in your home. Your heating system's pilot light is out. Your heating unit makes any squealing or rumbling noises. Your furnace is constantly running. The circuit breaker or fuse controlling your heating unit is tripped or blown. Our professionals will inspect your heating unit, diagnose the problem, and repair the unit so that your home is always the comfortable place that you need it to be for your home and your family. 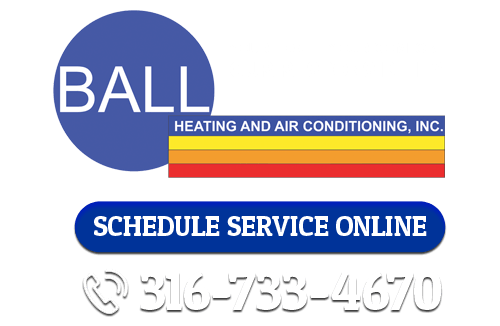 If you're looking for heating repairs in Wichita, call Ball Heating & Air Conditioning at 316-733-4670, or fill out our online request form.